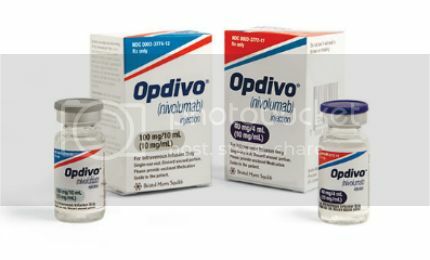 Opdivo injection is indicated for the treatment of unresectable or metastatic melanoma. Image: courtesy of Business Wire. The drug can be administered intravenously. Image: courtesy of Business Wire / BMS. Metastatic melanoma is a deadly skin cancer that spreads beyond the surface of the skin to other body parts. Image: courtesy of National Cancer Institute. 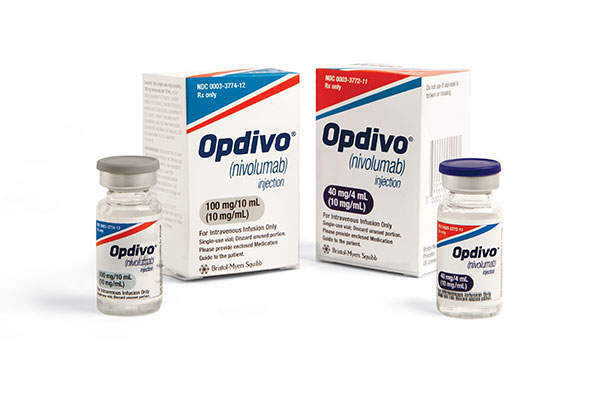 Opdivo (nivolumab) is indicated for the treatment of unresectable or metastatic melanoma in patients with a positive BRAF V600 mutation who were previously treated and made progresssion with Yervoy (ipilimumab). The drug was discovered and developed by Bristol-Myers Squibb (BMS). The US Food and Drug Administration (FDA) accepted a biologics license application (BLA) of Opdivo for priority review. It was also granted breakthrough therapy designation in September 2014. BMS received approval from the FDA in December 2014, three months ahead of the final Prescription Drug User Fee Act (PDUFA) date. The drug was also approved as an adjuvant therapy in patients with completely resected melanoma in December 2017. 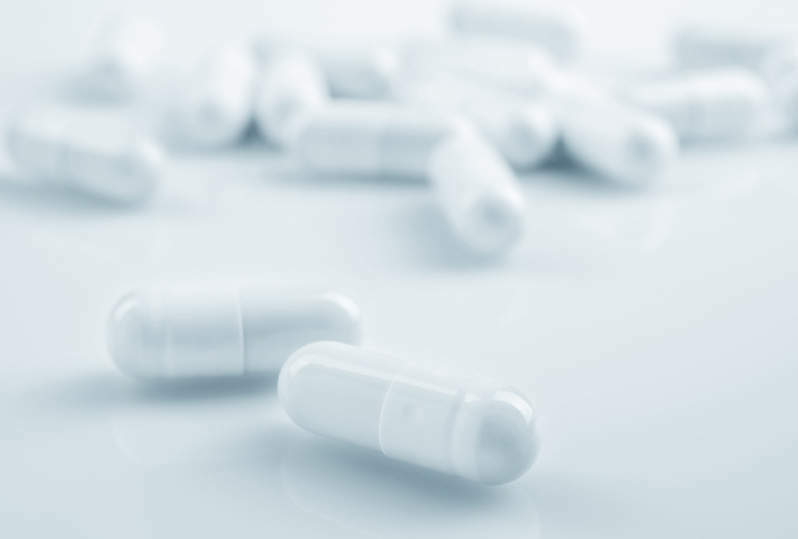 The marketing authorisation application (MAA) of Opdivo in Europe was validated by the European Medicines Agency (EMA) and accelerated assessment was granted by the Committee for Medicinal Products for Human Use (CHMP) in September 2014. The drug was approved by the European Commission (EC) in June 2017. Melanoma is a type of skin cancer that occurs due to the overproduction of melanocytes in the skin. In metastatic melanoma, the cancer has spread to other parts of the body such as the lungs, brain and lymph nodes. Survival rate decreases if it is detected in later stages. 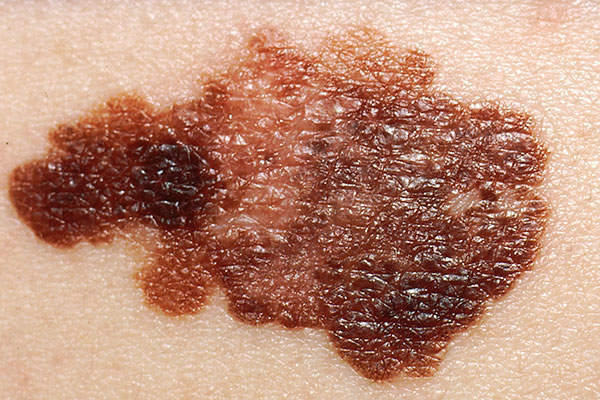 Approximately 76,100 cases of melanoma were diagnosed in the US in 2014. Opdivo contains an active component called nivolumab, which is a human immunoglobulin G4 (IgG4) monoclonal antibody. The intravenously administered drug inhibits the proliferation of T-cells and the production of cytokine by binding to the PD-1 receptor, which blocks its interaction with PD-L1 and PD-L2 and decreases tumour growth. Yervoy is the first drug approved for the treatment of metastatic melanoma in the US. The FDA’s approval for Opdivo was based on tumour response rate and durability response. The drug’s safety and efficacy were evaluated in two Phase III clinical trials, which enrolled advanced melanoma patients who were previously treated with BRAF inhibitor Yervoy. The first Phase III study evaluated Opdivo’s efficacy in a single-arm, non-comparative planned interim study, which enrolled 120 patients. Patients received a dose of 3mg/kg Opdivo intravenously over 60 minutes every two weeks. This was followed-up within a minimum of six months. The study was followed up by a Phase III CheckMate-037 trial for six months. Results showed that patients administered with Opdivo achieved a 32% response rate. Approximately 3% of patients (4/120) achieved complete response and 28% (34/120) achieved a partial response. Out of the 38 subjects, 87% (33 patients) had continuous responses from 2.6 months to ten months, including 13 patients with continuous responses for six months or longer. Responses were also observed in patients with and without BRAF mutation. The EC’s approval of Opdivo was based on results obtained from a Phase II clinical trial named CheckMate-275. It was an open label, single-arm, multi-centre study that evaluated Opdivo in patients with locally advanced or Metastatic Urothelial Carcinoma (mUC). The study enrolled 270 patients who were administered with Opdivo 3mg/kg intravenously every two weeks until disease progression or unacceptable toxicity. The primary endpoint of the study was objective response rate (ORR) and the secondary endpoints included progression free survival (PFS) and overall survival (OS). Results from the study demonstrated that approximately 20% of patients administered with Opdivo responded to the treatment. The study also found that the percentage of patients with a complete response was 3% and the percentage of patients with a partial response was 17%. The safety of Opdivo was evaluated in a randomised, multinational, multicenter, and open-label Phase III clinical trial known as CheckMate-037. The study was conducted in 90 centres across 14 countries. It enrolled patients with previously treated advanced melanoma, including 76% M1C patients, 18% with a history of brain metastases and 56% with elevated lactate dehydrogenase (LDH) levels. Patients were treated with either Opdivo 3mg/kg every two weeks or chemotherapy, which included either a single-agent dacarbazine at 1,000mg/m2 administered every three weeks or a combination of carboplatin AUC 6 every three weeks plus paclitaxel 175mg/m2 every three weeks. The preliminary objective of the study was to check the objective response rate (ORR). The study is still ongoing to determine the overall survival benefit. The most severe adverse reactions reported in Opdivo-administered patients in the study include abdominal pain, hyponatremia, increased aspartate aminotransferase and increased lipase.